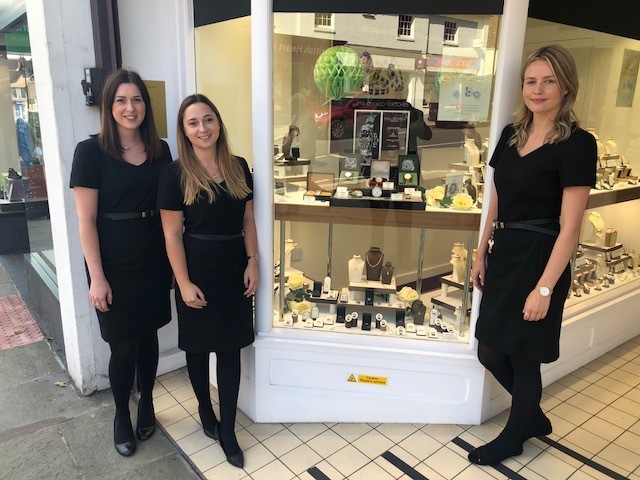 Showing off pre-owned jewellery and watches in the window of W E Clark & Son are manager Charlotte Roake, second from the left, Kylie, left, and Lauren. Uckfield High Street jewellers W E Clark & Son are now selling pre-owned jewellery and watches. 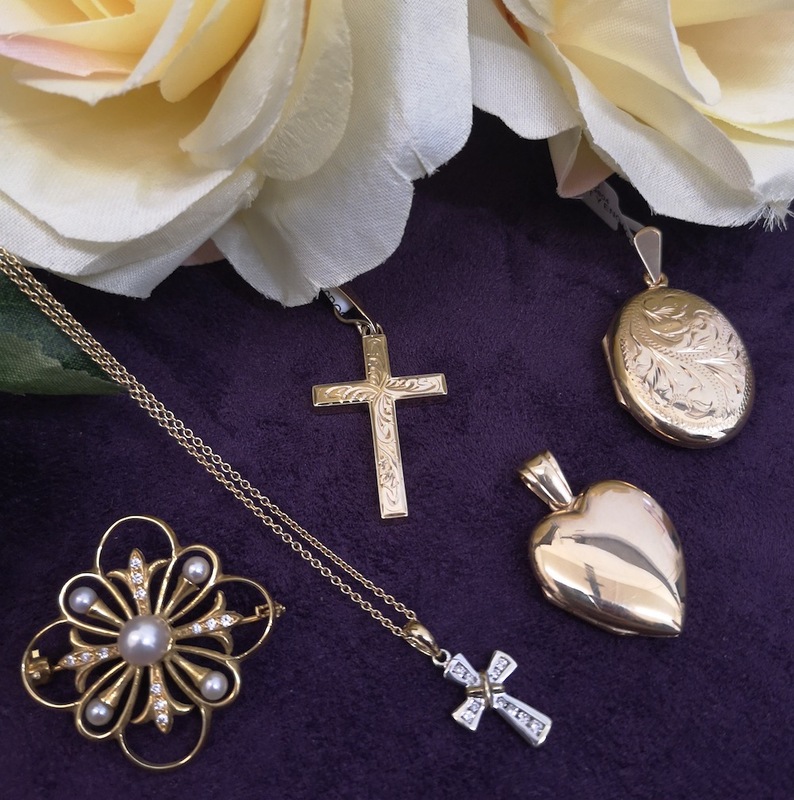 An ever changing range can be found in one of the windows at 39 High Street and the business will buy jewellery from you, or part exchange it for something new. 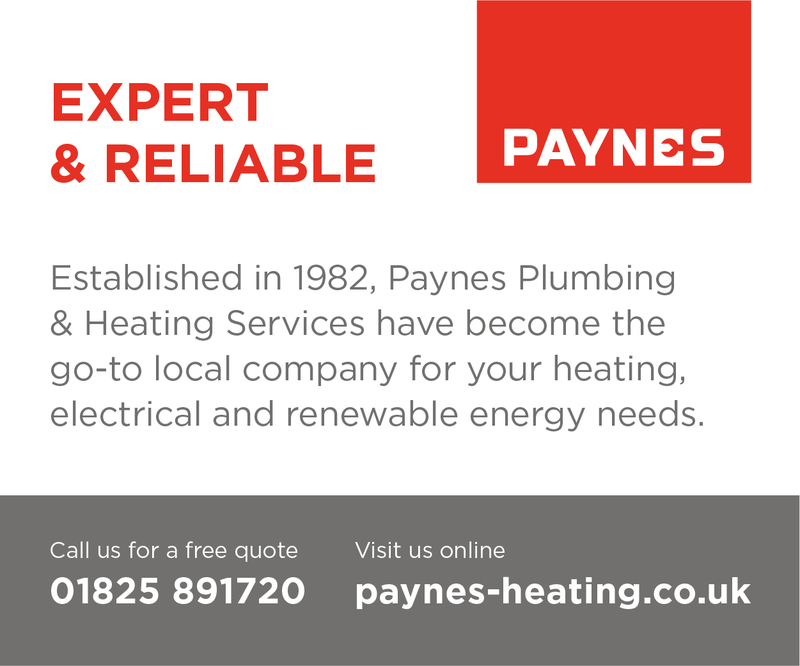 Manager Charlotte Roake said: “By offering a pre-owned selection we feel we can fully cater for an eclectic range of customers and spark a variety of interests. 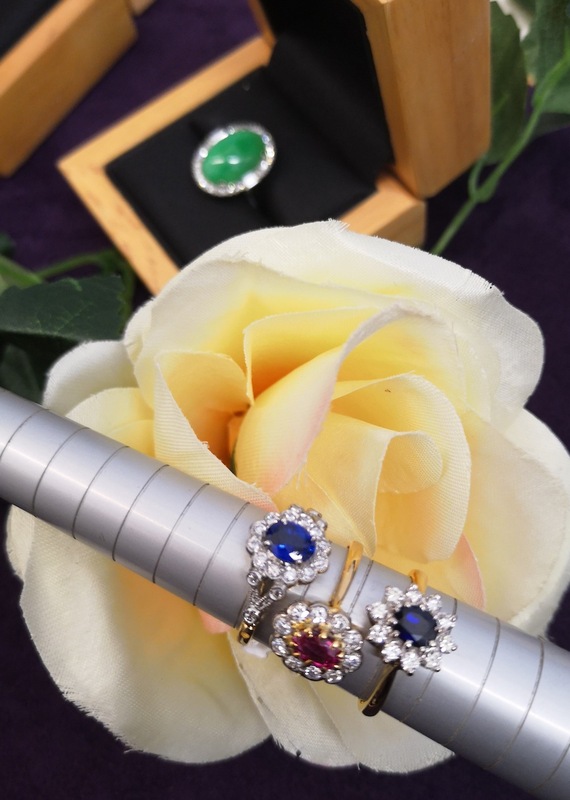 “We hold a diverse collection of gemstone set pieces including sapphires, rubies, diamonds, and opals, along with a few spectacular pieces such as a cabochon cut jade, a diamond ring crafted in platinum and a blue zircon and diamond ring set in 9ct white gold. “Each piece has been hand selected by our team and fully refurbished by our onsite goldsmiths. The jeweller’s likes to buy older Clark pieces too. 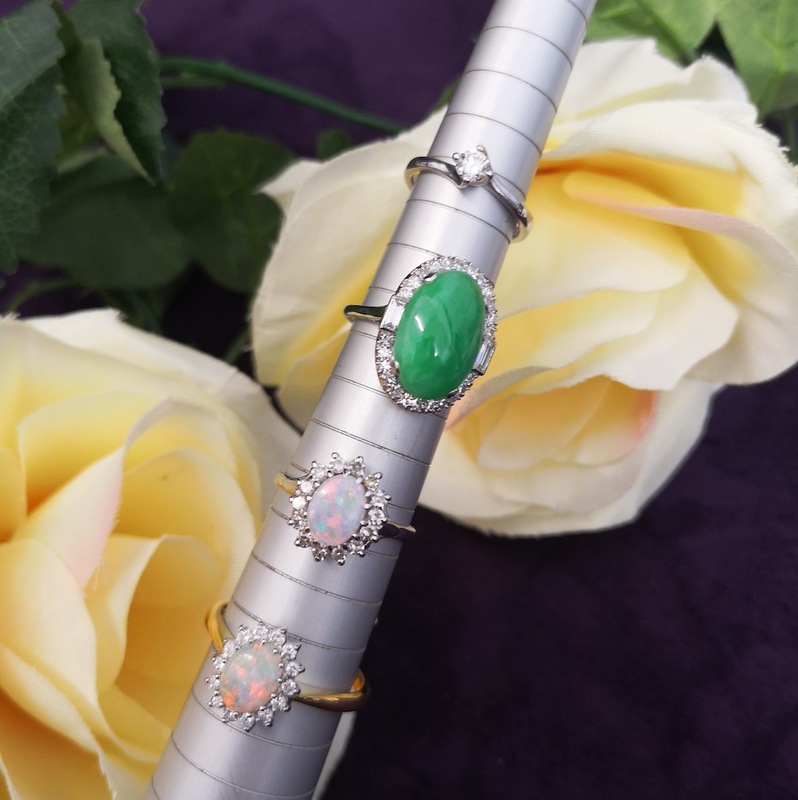 Charlotte said they are particularly looking for unusual pieces, perhaps in vintage settings, or old cut diamonds, pre-1940s, which you can’t buy now. Today’s diamonds are round, brilliant, cut. You are welcome to call in at W E Clark & Son with jewellery you are unlikely to wear again and discuss selling it to them. Sometimes it can be bought there and then, occasionally it would take two or three days to value it. 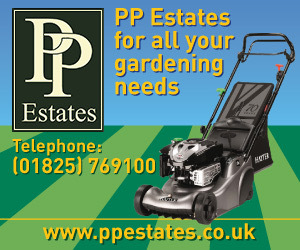 • Read more about W E Clark & Son in their premium listing in our Uckfield Directory. Look for the name or search in categories for Jewellers or Shops.